OTTAWA - The federal government is announcing a slight change to its plan to streamline the spending-approval process into a single $7-billion vote after complaints earlier this week from the parliamentary budget watchdog. 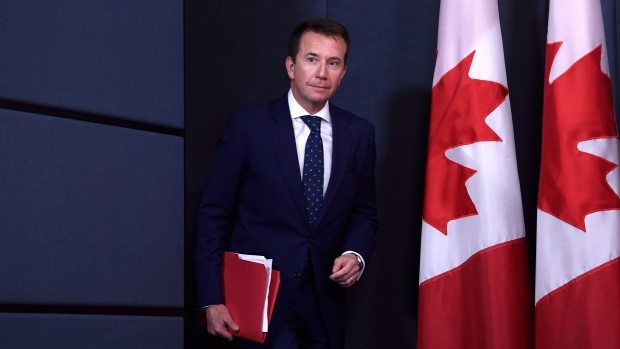 Speaking to a House of Commons committee, Treasury Board President Scott Brison says the Liberals' plan to make the process more transparent will now ensure that the detailed spending allocations laid out in the budget plan are also listed in the bill that MPs will actually vote on. Brison is making the announcement following warnings from parliamentary budget officer Jean-Denis Frechette that the plan to simplify the budgeting process through a single vote could mean $7 billion in new spending commitments from the February budget could technically be spent elsewhere. 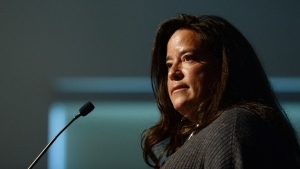 The PBO warned this week that there was nothing in the wording of the new law to compel Ottawa to spend according to its budget plan -- and political opponents, meanwhile, have attacked the plan as a way for the government to open up a $7-billion slush fund. Responding to the budget office concerns, Brison says the argument that budget promises would not be legally binding under the new law is false because straying from the detailed items would be considered an unauthorized use of public funds. Nonetheless, Brison says to add more clarity to the process he will now ensure the full, line-by-line spending table is repeated in the bill that MPs will vote on, rather than just a reference to it.